- Scaffold proteins: ZO-1 et al. Physiology is no certain method, but a kind of question: We use a wide spectrum of different methods - always aiming to answer the question "How does it work?" with respect to the investigated molecules, cells, organs or the whole body. This question cannot be fully answered using classic, e.g. electrophysiological, methods alone without knowing about the molecular structures. On the other hand, molecular biology and biochemistry results usually do not offer conclusions regarding the function of the whole cell or the intact body. In our current projects we therefore combine functional (= mostly electrophysiological) and structural (biochemical, molecular biological, laser-scanning microscopical, and electron microscopical) techniques. In order to understand the pathophysiology of a disease it is necessary to know the mechanisms of normal function. For most topics we study the basic mechanisms and - using the same methods - the impaired function in diseased states. Experiments are performed on isolated epithelia and cell cultures. Within this spectrum of approaches we collaborate for many years with the Dept. of Gastroenertology (Head: Prof. Britta Siegmund). 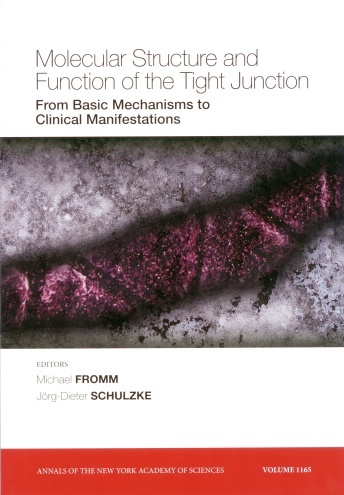 The intestinal barrier critically depends on the function of the tight junctions. Using translational approaches, we study functions, regulation, and structure of the tight junction proteins in health and disease. Methods are molecular biological, microbiological, (ultra-)microscopical, biophysical, and electrophysiological. In inflammatory bowel diseases (ulcerative colitis and Crohn's disease) cytokines like tumor necrosis factor alpha (TNFa) induce a dramatic increase tight junction permeability. This barrier break-down is a major determinant of the disease, because it causes (i) leak flux diarrhea and (ii) allows for uptake of inflammatory molecules from the lumen. localization by conductance scanning of transport pathways for Na, K, and Cl in intestinal crypt and surface epithelia. Tight junction proteins comprise three (even four if one includes JAM) families. All are transmembrane proteins having one important feature in common: They are arranged in such a way that they interact with other TJ proteins of the neighboring cell and by this are able to seal the cleft between these cells against unlimited passage of solutes and water. Two of these families possess four transmembrane domains (tetraspan proteins). Most claudins and TAMPs act as barrier formers within the TJ. In contrast, some claudins form paracellular channels through the TJ which are selective for cations (claudin-2, claudin-10b, claudin-15), anions (claudin-10a, claudin-17) or water (claudin-2). All tetraspan TJ proteins comprise intracellular N- and C-terminals, one small intracellular loop, and two extracellular loops (ECL1 and -2). ECL1 is thought to determine the paracellular barrier and/or channel function. ECL2 may act as mechanical contact between opposing tight junction proteins. The exact molecular structure of some proteins is partly to almost fully resolved. Angulin family. They comprise three TJ proteins, LSR, ILDR1, and ILDR2 and are mainly localized at the tricellular tight junction. JAM proteins are localized "below" the TJs (meaning more to basal cell side) and provide adhesion between neighboring lateral cell membranes. Important functions are mediated by numerous intracellularly located proteins (which therefore are not counted as TJ components in a strict sense). Intracellular proteins like ZO1 and ZO2 connect many of the claudins and the TAMPs the actin cytoskeleton and are therefore termed scaffold proteins. General: Presently, 27 different claudins are known in mammalia. 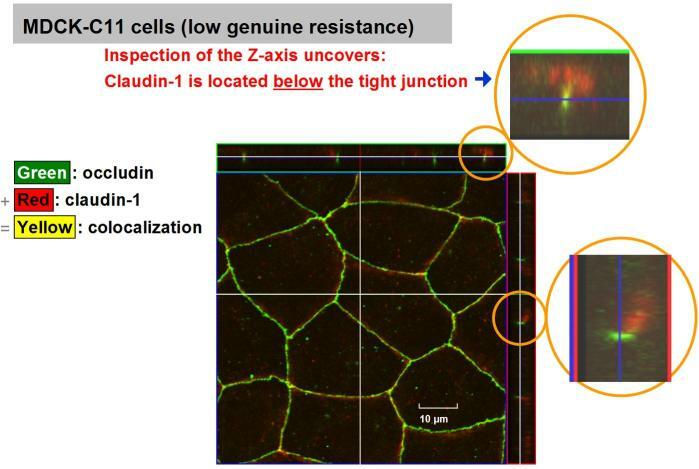 Some claudins are essential for forming the epithelial barrier while others even do the oppsosite, they form paracellular channels. (ii) Claudin-2 also forms a paracellular channel for water (discovered by Rosenthal et al. 2010). Both, cations and water, travel through the same pore (Rosenthal et al. 2016). Function: We have characterized claudin-3 to be a general barrier former as it reduces permeability for ions without charge preference and uncharged solutes. Clinical Impact: Claudin-3 and -4 are receptors for the enterotoxin of Clostridium perfringens. Clinical Impact: In the Williams-Beuren-Syndrome, claudin-4 is not expressed . Function: We were able to show that claudin-5 belongs to the barrier-forming claudins and that it is expressed also in some epithelia. Clinical Impact: Claudin-5 is deleted in patients suffering from velo-cardio-facial syndrome (DiGeorge syndrome). Claudin-5-deficient mice exhibit a barrier defect of the blood-brain barrier. Function: Barrier for cations in tight epithelia. Function: Claudin-10a is anion selective. Claudin-10b forms a cation selective channel, which is, in contrast to claudin-2, not permeable to water. Localization: Kidney: abundant in the nephron. Marginal in brain. Function: Claudin-17 forms paracellular anion channels (discovered by Krug et al. 2012, Cell. Mol. Life Sci.). Molecular: Claudin-17 anion selectivity critically depends on a positive charge at position 65. Expressed in the embryonic state only. General: TAMP stands for Tight junction-Associated Marvel Proteins. The TAMP family includes occludin, tricellulin, and marvelD3, which share a transmembrane domain motif called MARVEL (Myelin and lymphocyte And Related protein for VEsicle trafficking and membrane Link). Function: The function of occludin is still poorly understood. In a collaboration, the lab of Shoichiro Tsukita and our group have shown that in occludin-KO mice the tight juncion barrier is unaltered. This means that occludin either has no intrinsic barrier properties or can be replaced by other components of the tight junction. In occludin-knockout mice the glandular structure of the stomach exhibited a complete loss of parietal cells and mucus cell hyperplasia, as a result of which acid secretion was virtually abolished. A dramatic change in gastric morphology and secretory function indicates that occludin is involved in gastric epithelial differentiation. Little is known about the regulatory mechanisms of occludin that influence occludin gene expression. We aimed to identify the sequences essential in cis for genomic regulation of tight junction formation and to investigate their functional role in cytokine-dependent tight junction regulation. Using genome walking cloning of occludin-specific human genomic DNA sequences, a 1853 bp DNA fragment containing the transcription start point of occludin cDNA sequences was amplified and sequenced. The proinflammatory cytokines, TNFa and interferon g diminished occludin promoter activity alone and even synergistically, suggesting a genomic regulation of alterations of the paracellular barrier. Both cytokines downregulate the expression of occludin, paralleling the barrier disturbance detected electrophysiologically. This could be an important mechanism in gastrointestinal diseases accompanied by barrier defects, for example inflammatory bowel diseases. Localization: Tricellular tight junction (tTJ), i.e. the site where three epithelial or endothelial cells meet. Function: Tricellulin was discovered by Shoichiro Tsukita who has died in Dec. 2005, a few days before his landmark paper appeared: Ikenouchi et al., 2005, J. Cell Biol. 171(6): 939-945 [PubMed] [PDF]. In cell cultures, lack of tricellulin prevents the development of the epithelial barrier. We showed that tricellulin tightens the tricellular junction against macromolecules. We propose that, at impaired tricellulin expression, the tTJ becomes a major site for the passage of macromolecules. Localization: Splice variant 1 within the bicellular TJ; splice variant 2 within the tricellular TJ. Function: Regulation: couples tight junctions to the JNK pathway to regulate cell behavior and survival. - angulin-3 = ILDR2, immunoglobulin-like domain-containing receptor 2. Angulin-1 and angulin-2 are relevant for recruitment of tricellulin to the tricellular TJ. If defective or decreased, the lack of well-localized tricellulin causes opening of the tTJ barrier. The JAM (Junctional Adhesion Molecule) family consists of 7 members: Three "classical" ones (JAM-A, JAM-B, JAM-C) and four "non-classical" ones (CAR, ESAM, JAM-J, JAM-4). For comprehensive review see Garrido-Urbani et al. 2014 [PubMed]). JAM proteins are localized just "below" the TJ strands (meaning more to basal cell side) and provide mechanical adhesion between lateral membranes of neighboring cells. JAM molecules have no direct barrier function by itself, but if JAM cell-cell contacts are impaired the lateral cell membranes lose contact. 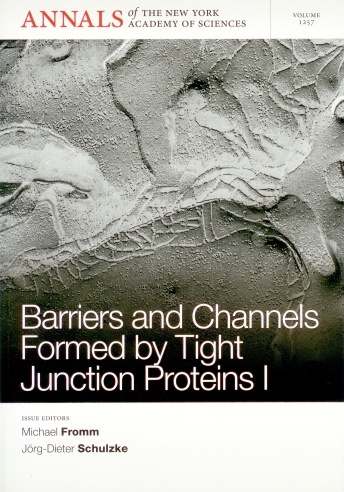 Necessarily, adjacent TJ proteins also lose contact to each other and the paracellular barrier opens. JAMs form cis- and trans-interactions with other JAMs. All JAMs contain PDZ motifs and bind to numerous intracellular parters. Scaffold proteins provide an intracellular connection between most claudins and the TAMPs with the actin cytoskeleton. Best-known are ZO-1 and ZO-2 (Zonula Occludens-1 and -2). The name "Zonula occludens" suggests they are tight junction proteins, but in a strict sense they are not. They are located intracellularly and connected via PDZ domains with the claudins, TAMPs, and JAMs. The first crystal structure of a claudin was published in 2014 by Suzuki et al. for claudin-15 [PubMed]. This was a major breakthrough, which then also allowed for homology studies on other members of the claudin family. The crystal structure of tricellulin and its molecular architecture within the tricellular tight junction is not yet resolved. In cooperation with the MDC, we have analyzed part of the protein, the C-terminal domain. This passage is cited from Krug et al. 2014: "Epithelia form barriers against unlimited passage of solutes and water, but also regulate and allow distinct permeation across that barrier. On the one hand, such permeation sites are located within the cell membranes, forming a transcellular pathway via channels, carriers, and transporting ATPases. On the other hand, the paracellular pathway between the cells is sealed against uncontrolled passage by the TJ. However, long before claudins and TAMPs were identified as constituents of the TJ it was demonstrated that the paracellular pathway of some, but not all, epithelia is permeable to small ions [Frömter & Diamond 1972]. This in mind, the concept of “leaky” and “tight epithelia” was born [Diamond 1974]: in leaky epithelia the paracellular pathway is more ion-conductive than the transcellular one. In intestine and nephron, leaky epithelia are typically found in proximal segments. Tight epithelia behave the other way around and in intestine and nephron they are present in distal segments. While many TJ proteins indeed have barrier-forming properties, there are also several claudins forming charge- and/or size-selective paracellular channels. These channels are not crossing membranes as transmembranal channels do, but are orientated parallel to the lateral membranes allowing permeation through theTJ. They are formed by the extracellular loops of TJ proteins interacting with extracellular loops of TJ proteins located in the opposing cell membrane. Often there are uncertainties whether the conductive claudins should be named channels or pores. Simply said, both is correct: the pore is one part of a channel. (iv) a feature providing time-variant permeability changes (gating). By definition, “selective for x” means that the permeability for x is higher than that for other substances or groups of substances. All channel-forming claudins exhibit at least one of the three types of selectivity: for cations (claudin-2, claudin-10b, claudin-15), for anions (claudin-10a, claudin-17) or for water (claudin-2). Charge selectivity cannot be determined from transepithelial resistance (TER) but from dilution potential measurements. Here, charge selectivitiy is read out from the resulting ratio PNa/PCl. PNa>PCl indicates cation selectivity and PNa<PCl indicates anion selectivity [Günzel et al. 2010; Yu et al. 2009]. Ratio changes together with the calculated absolute permeabilities give information about the preference. Higher selectivity, as e.g. exclusively for sodium only can be found in some membrane channels like the epithelial sodium channel ENaC, but yet not for any TJ protein. Thus, TJ protein channels formers and also barrier formers exhibit substrate-specific transmissive properties. Therefore, the term “permeability” is incomplete without relying to the analyzed substance(s) for which the TJ protein is transmissive." For many years there had been a dispute regarding the contribution and even existence of paracellular water transport. It was in 2010 when this dispute ended after we discovered that it is claudin-2 that forms a water channel (Rosenthal et al. 2010). We showed that the claudin-2-based pore is permable to cations (Amasheh et al. 2002) as well as to water (Rosenthal et al. 2017). However, the ion permeability of other claudins is not necessarily coupled to water permeability: the cation channel claudin-10b and the anion channel claudin-17 proved to be not water permeable. The tricellular tight junction (tTJ) is localized at contacts of three epithelial or endothelial cells. Here, the elements of adjacent bTJ strands join and extend in basal direction. Importantly, the tTJ forms a vertical central tube which is considered to be a structural weak point of the whole TJ network. Proteins found predominatly at the tTJ are tricellulin and the angulins. Unwanted opening of the tTJ: In first studies with human colon biopsies we have shown that tricellulin is downregulated in the inflammatory bowel disease (IBD) ulcerative colitis and the tTJ is opened (Krug et al. 2017, Mucosal Immunol.). We hypothesize that this causes luminal pathogens to pass which then supports the inflammatory process (Krug et al. 2014). A role of other proteins, which are located at the tTJ, e.g. angulins (LSR, ILDR1, ILDR2), as well as for occludin might be assumed (Martini et al. 2017). Intended opening of the tTJ: In a novel approach Masuo Kondoh and we developed a paracellular drug absorption enhancer acting at the tTJ, named angubindin-1. Its binding led to removal of angulin-1 and tricellulin from the tTJ which enhanced the permeation of macromolecular solutes (Krug et al. 2017, J. Contr. Release). Many diseases of the intestines are caused by impaired epithelial absorption or secretion and by impaired epithelial barrier function. The pathogenesis of the ulcerative colitis and Crohn's disease is not fully understood so far. A typical symptom in both inflammatory bowel diseases is chronic diarrhea. We investigate the transport and barrier function of the intestine in vitro using two electrophysiological techniques, impedance spectroscopy and conductance scanning. If the ion permeability is critically increased under pathological conditions a leak flux diarrhea occurs. This type of diarrhea is caused by massive fluxes of solutes and water from the blood into the gut lumen. Regarding immunological mechanisms, an intact epithelial barrier keeps luminal bacteria, toxins, and antigens away from the subepithelial tissues. It is discussed, whether an impaired intestinal barrier allows for increased uptake of bacteria, toxins, and antigens which then will support the inflammation process. Bacterial translocation through the intestinal wall has been studied under defined in vitro conditions in our lab. Cytokines like tumor necrosis factor alpha (TNFa), interleukins and interferons act as mediators of inflammation. In inflammatory bowel diseases (and in HIV infection) their local concentrations increase. We study the action of cytokines on transport and barrier function of human intestine and cell cultures originating from human colon (HT-29/B6). The lumen of the small and especially the large intestine is populated by an unimaginable number of bacteria. Most are good-natured and help digesting food. Normally, they remain in the gut lumen and do not pass the intestinal wall, except the epithelial barrier is injured. However, some other bacteria are able to produce their own pathway across the gut wall. After wall passage they may act as pathogens, maintaining, enhancing or even initializing intestinal inflammation. The mechanisms by which pathogens can translocate are mainly paracellular, including (i) focal leaks, (ii) epithelial apoptosis, and (iii) opening the tight junction pathway, espectially at the tricellular tight junction. In celiac disease, a T-cell-mediated response to gluten occurs in genetically predisposed individuals. Gluten is found in grains like wheat, barley, and rye. Importantly, gluten proteins contain peptide sequences which can elicit T-cell responses in the small intestine. This results in a malabsorptive enteropathy characterized by villus atrophy and crypt hyperplasia. The barrier defect includes altered tight junction proteins. In the thick ascending limb (TAL) of Henles loop, reabsorption of filtered NaCl takes place and generates a lumen-positive voltage. This voltage drives paracellular reabsorption of calcium and magnesium. Disturbance of that reabsorption leads to renal Ca2+ and Mg2+ wasting, which occurs in patients with the rare inherited disorder of "Familial Hypercalciuric Hypomagnesemia with NephroCalcinosis (FHHNC)". Importantly, FHHNC has been found to be caused by mutations in two genes, coding for claudin-16 and claudin-19, respectively. Functionally involved in these processes is also claudin-10b. This research is done in collaboration with Heike Rittner and Alexander Brack, Würzburg. One of the ideas behind is to modulate the tight junction of the perineurium for enhancing the access of peripheral analgetics. This research is done in collaboration with Johanna Brandner, Hamburg. Human epidermis contains tight junctions the barrier function of which is investigated here. This passage is cited from Krug et al. 2014: Different paracellular pathways have been postulated for small ions and for macromolecules. Small ions predominantly pass through claudin-based channels of the bicellular TJ(bTJ). This pathway has been classified as a high-capacity, charge- and size-selective “pore pathway”. A lesser amount of small ions pass through the tricellular TJ (tTJ). Large molecules up to the size of macromolecules pass through strand discontinuities of the bTJ (Fig. 3B, left arrow). This pathway has been classified as a low-capacity, charge- and size-nonselective “leak pathway”. Another pathway for macromolecules could be provided by the tTJ. It is unknown to date which of the two pathways for macromolecules predominates. Current opinion assumes epithelial integrity during spontaneous apoptotic cell death. We measured, for the first time, the local conductances associated with apoptoses and show leaks of 50 nS (mean) in human intestinal epithelium. Measurements were performed employing the conductance scanning technique on confluent HT-29/B6 monolayers. The results disprove the dogma that isolated cell apoptosis occurs without affecting the epithelial cell permeability barrier. After induction of apoptosis by tumor necrosis factor a (TNFa ) the apoptotic leaks were dramatically enhanced: not only increased the frequency 3fold, but the mean conductance increased 12fold to 600 nS. Thus apoptosis accounted for about half of the TNFa -induced permeability increase while the other half is caused by degradation of tight junctions in non-apoptotic areas. Hence, spontaneous and, more so, induced apoptosis hollow out the intestinal barrier and may facilitate loss of solutes and uptake of noxious agents. Since the barrier function of an epithelium relies on its complete integrity, which is challenged by the loss of cells, by injury or apoptosis, rapid repair mechanisms are important. Already well known is the repair process of large epithelial wounds (restitution). The gap is closed by the immigration of intact adjacent cells within hours. Deep wounds require also cell proliferation, which takes several days. Little is known, however, about the - much faster - closure of single cell defects. Purely morphological studies cannot assess the functional leak that opens with the hiatus. Our new conductance scanning technique allows to measure the leak. Thus we investigate, for instance, the effects of inflammatory mediators on the restitution of single cell defects in epithelia of the intestine. The conductance scanning technique in medium resolution allowed to measure in crypt and surface epithelium of the colon the conductivities for Na+, K+, Cl–, which are defined by specific apical channels. The amiloride- blockable epithelial Na+ channel (ENaC) is an important protein for the regulation of the Na+ balance in vertebrates. It is a limiting factor for the absorption of Na+ in several organs. ENaC is regulated in epithelia of the distal kidney tubule and the distal colon by aldosterone and other corticosteroids. The epithelial sodium channel (ENaC) was cloned a few years ago from intestinal epithelium of the rat [Canessa et al. 1993, Nature; Lingueglia et al. 1993, FEBS Lett. ; Canessa et al. 1994, Nature]. The channel-forming protein consists of two a-, one b- and one g-subunit [Kosari et al. 1998, J. Biol. Chem. ; Firsov et al. 1998, EMBO J.]. ENaC is regulated by aldosterone on the genomic level. The effect of aldosterone can be divided in 3 phases of: a latent phase, a phase of increasing Na+ transport, and a phase starting after 4 hours of stimulation of the basolateral Na+/K+-ATPase [Benos et al. 1995, J. Membr. Biol.]. The main component is the regulation of the epithelial Na+ channel: a blockade of ENaC by the diuretic amiloride stops the electrogenic Na+ transport (and the effect of aldosterone) completely [Benos 1982, Am. J. Physiol.]. We investigated electrogenic Na+ transport and, in identical tissues, mRNA expression of ENaC subunits in early (EDC) and late (LDC) distal colon of the rat. In both segments 8 h in vitro incubation with 3 nM aldosterone enhanced b- and gENaC mRNA and induced Na+ transport. Na+ transport was ten times higher in LDC than in EDC. Although it is known, that aldosterone regulates the electrogenic Na+ absorption via a transcriptional mechanism [Verrey & Beron 1996, NIPS], it was unresolved so far, whether aldosterone affects the electrogenic Na+ transport directly by de novo synthesis of channel proteins or indirectly by induction of regulatory proteins. We found that aENaC mRNA was unchanged in EDC, whereas it decreased in LDC. In LDC, b- and gENaC mRNA was induced 1 h after aldosterone addition whereas Na+ transport became apparent >1 h later. Down-regulation of aENaC does not take part in the acute regulation because it started after a lag time. It was thought so far that the "early effect" of aldosterone is not based on genomic regulation, because ENaC transcription was reported to start later than Na+ transport. However, time correlation of b- and gENaC induction and Na+ transport stimulation suggests that the early aldosterone effect on Na+ absorption in distal colon may be due to transcriptional upregulation of b- and gENaC expression. ENaC is induced by the mineralocorticoid rezeptor (MR) as well as by the glucocorticoid rezeptor (GR). ENaC expression is synergized by butyrate and by tumor necrosis factor-alpha (TNF-alpha). For a rare hereditary kidney disease causing calcium and magnesium deficency, see FHHNC. For the investigation of structural and functional characteristics we expose epithelial cell layers to proinflammatory cytokines under the standardised conditions of in vitro cell culture. During the incubation period the alteration of the transepithelial resistance is monitored. Subsequently, RNA and proteins are isolated from the cells, separated electrophoretically in a gel matrix and analyzed in Northern and Western blots with gene-specific probes or antisera against tight junction proteins. Changes in quantity of the biomolecules permit conclusion on the regulation of gene expression and the role of the individual tight junction proteins. Beside classical hybridizing procedures we apply modern molecular biology methods for a structural and functional analysis of paracellular barrier and epithelial transport. With the genome walking technique it is possible to isolate regulatory sequences structurally linked to the gene-of-interest. After nucleic acid sequencing, reporter gene analyses are performed to characterize these sequences functionally. Motives essential for transcription factor binding can be limited by targeted mutations. Thus, conclusions on the signal transduction cascades connected with the regulation of gene expression can be drawn. This is of importance for the development of improved therapeutic approaches of inflammatory bowel diseases. Permeability of tight junctions are not determined solely by their molecular composition, but also - as known for many years - by the ultrastructural arrangement, expansion, and continuity of tight junction strands. The molecular composition and the ultrastructure are related to each other. Technically, tissues are freeze fractured, vaporized, analyzed electron microscopically. If the fracture occurs inside the lateral cell membrane often a tight junction meshwork becomme visible. In a morphometric analysis, tight junctions then are analyzed regarding the number of horizontally arranged strands, its extension, and its linearity. Isolated but "living" gastrointestinal epithelia and epithelial cell cultures can be functionally characterized regarding their transport and barrier functions by several electrophysiological methods. - Transmural impedance for the measurement of vertical conductance distribution. In order to describe quantitatively the heterogenous horizontal distribution of ion permeability in an epithelium, we developed a new electophysiological method. It was named conductance scanning, because it aims at the spatial resolution of epithelial conductivity by means of a scanning microelectrode probe. The method is based upon the measurement of local differences in current density that are recorded with microelectrodes in the electrolyte solution above the mucosal surface of the flat epithelium, while a defined clamp current is passed through the tissue. Using mathematical models the distribution of epithelial conductivity is derived from the distribution of supraepithelial current density. Discrimination of epithelial and subepithelial ion conductance in intact gastrointestinal epithelia in vitro. 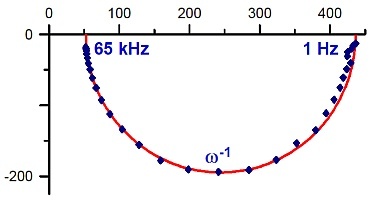 The conductance of the pure epithelium is frequency-dependent, however that of the tissues underlying the intestinal epithelium is not (in the frequency range applied). This is due to the fact that the subepithelial tissues have much higher conductivity due the lack of tight junctions. This allows to locate intestinal permeability changes to the epithelium or the subepithelium. Own development. Our first paper on 1PI: Fromm et al. 1985, J. Membr. Biol. [PubMed]; Fromm et al. 1985, Pflügers Arch. [PubMed]. By 1PI we have resolved why in inflammation intestine specimens conventional transepithelial resistance (TER) often did not significantly change: We found the resistance of the pure epithelium having clearly decreased while the resistance of the inflamed subepithelial tissues increased, in large part compensating the epithelial decrease. In vivo, the subepithelium does not contribute much to the barrier because capillary flow reaches until to the epithelial layer. In the Ussing chamber, of course, there is no blood flow and therefore the subepithelium adds to conventional TER (Review: Günzel et al. 2012 [PubMed]). Measurement of ion specificity, conductance, voltage dependency and open probability of cell membrane channels. Very common electrophysiological method, thus no detailed explanation here. The highly differentiated cell line HT-29/B6 is a sub-clone of the human colon cancer cell line HT-29 [Kreusel et al., 1991]. HT-29/B6 cells grow on permeable supports as epithelial monolayers. 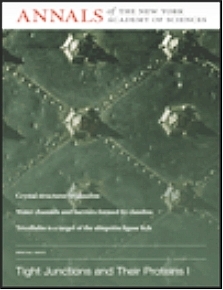 Secretagoges induce chloride secretion and mucus production [Epple et al., 1997]. They form apical brush borders and complete belts of tight junctions [Schmitz et al., 1999]. Consequently, they form epithelial barriers with properties of colon crypt cells [Gitter et al., 2000] and single cell apoptosis can be induced. [Bojarski et al., 2001]. The cell line HT-29/B6 is a versatile and well characterized model epithelium suitable for studying epithelial and/or intestinal properties with electrophysiological, morphological, and molecular methods. Leak flux diarrhea is caused by a break-down of the epithelial barrier, mostly produced by impaired tight junctions. This allows solutes and fluid to flow back into the gut lumen (=leak flux).